Iranian Foreign Minister Mohammad Javad Zarif has made it plain that Tehran is not going to adhere to the implementation of the Joint Comprehensive Plan of Action (JCPOA) if other signatories scrap the deal. The Islamic Republic's top diplomat has warned of a raft of options to respond to Washington's possible withdrawal from the Iran nuclear deal, according to Press TV news agency. "We have put a number of options for ourselves, and those options are ready, including options that would involve resuming our nuclear activities at a much greater speed. Those options are ready to be implemented and we will make the necessary decision when we see fit," Javad Zarif stressed. READ MORE: US Working With European Partners to 'Fix' Iran Nuclear Deal — State Dept. He also made it clear that Tehran would not unilaterally remain committed to the JCPOA's implementation. "Obviously the rest of the world cannot ask us to unilaterally and one-sidedly implement a deal that has already been broken," Zarif underlined. Separately on Friday, Zarif warned that the community's reaction to the US possibly leaving the JCPOA would be "unpleasant" for Washington, which Zarif said would "regret" the decision. His remarks came after about 500 British, French and German MPs sent a letter to the US Congress, in which they said that scrapping the Iran nuclear deal would damage the mechanism of control on the Iranian nuclear program and may add to new tensions in the Middle East. Department of State spokesperson Heather Nauert, for her part, said that the White House may announce a decision on the future of the JCPOA before the May 12 deadline, earlier set by President Donald Trump. 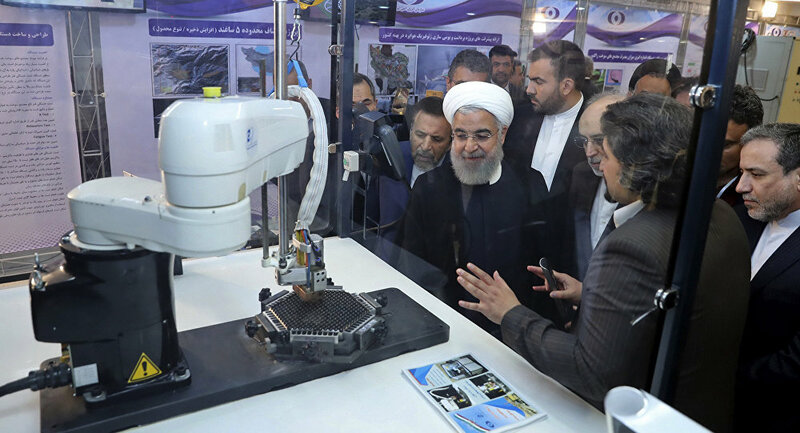 In January, the US President announced the extension of sanctions relief for Iran, given that the Islamic Republic was in line with nuclear deal obligations. He said that it would be the last time he signed the sanctions waiver unless the European allies agree to a supplemental deal to fix the "terrible flaws" of the JCPOA, according to Trump, who also slammed Iran's missile program. Other JCPOA signatories, including Russia, China, Britain, Germany and France, criticized Trump's stance, saying that the Iran nuclear deal is working successfully. Russian Deputy Foreign Minister Sergei Ryabkov underscored that Moscow, as well as the European Union, remains committed to the Iran nuclear deal, despite the recent US waiver of sanctions against Tehran, and that Russia would oppose any attempts to undermine the JCPOA. 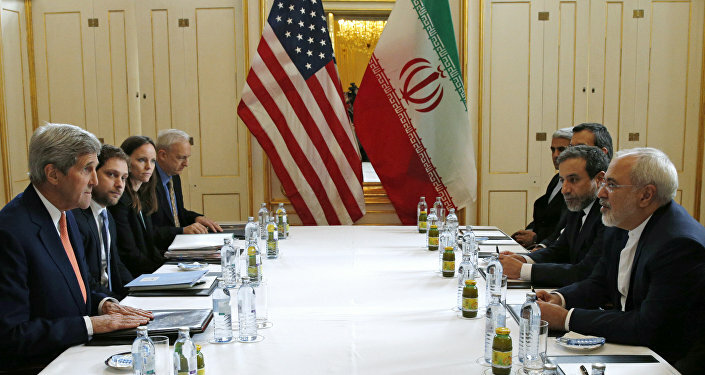 The Iran nuclear deal was inked by Brussels, Tehran and the P5+1 group of nations, including Russia, the US, China, France and the UK plus Germany, on July 14, 2015. The agreement envisages a stage-by-stage lifting of the anti-Iranian sanctions in exchange for the Islamic Republic maintaining the peaceful nature of its nuclear program.